Size o this luikower: 395 × 600 pixels. Ither resolutions: 158 × 240 pixels | 405 × 615 pixels. English: Color woodblock print, ôban, "Thirty-six Famous Battles"
Soorce Transferred from en.wikipedia to Commons. 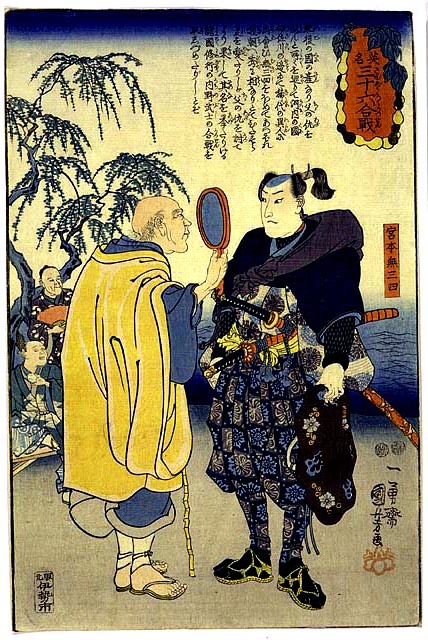 From Thirty-six Famous Battles (Eimei sanjûroku kassen), ca. 1847-1853. The original uploader was Kross at Inglis Wikipaedia.